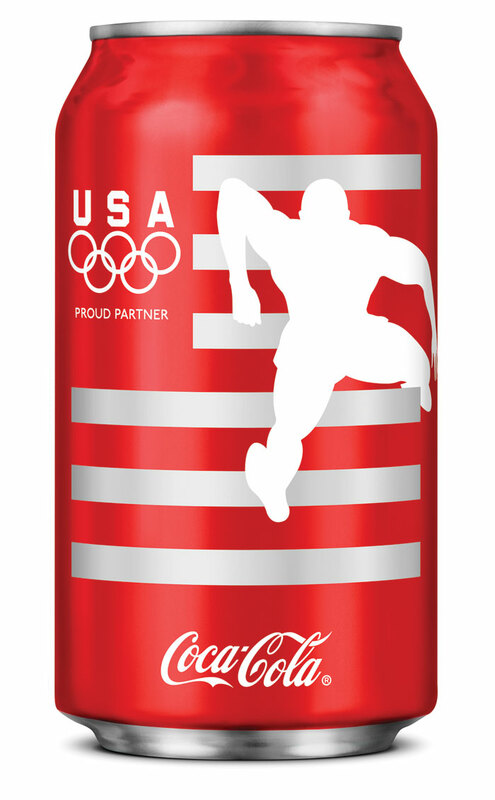 "The Coca-Cola Olympic Games campaign highlights The Coca-Cola 8 pack of athletes, graphically captured in action within their sports. 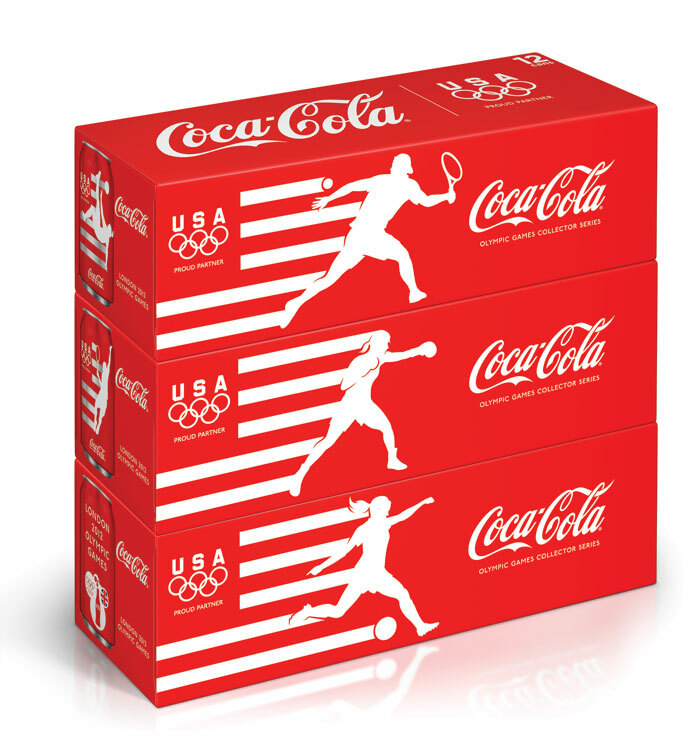 The designs cleverly use patriotic stripes to convey movement and context for the different sports. 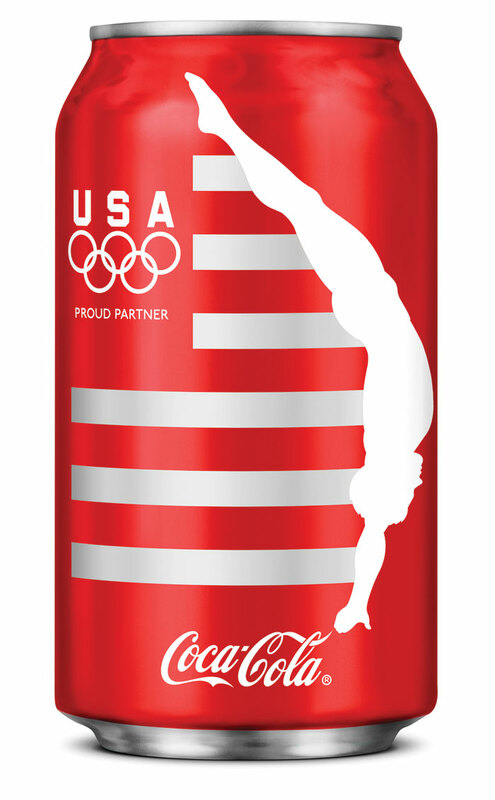 The cans will rotate throughout the summer with a new one hitting the market every 2 weeks, culminating with a can featuring a special composite logo in time for the opening of the Olympic Games. 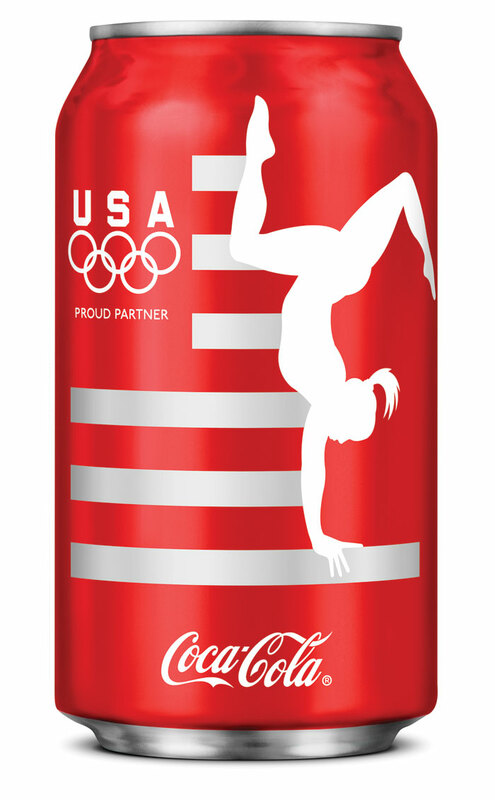 There are 6 different Fridgepack versions launching in 2 phases. 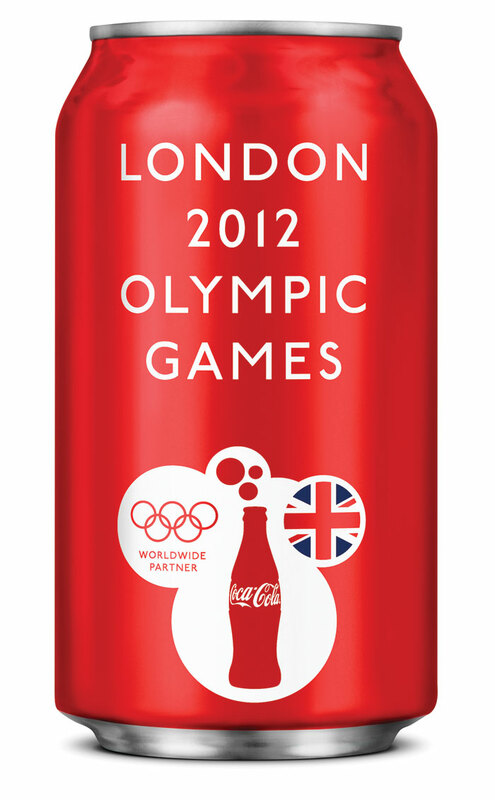 Designs are also extended across larger can packs, bottle labels, and mini cans. 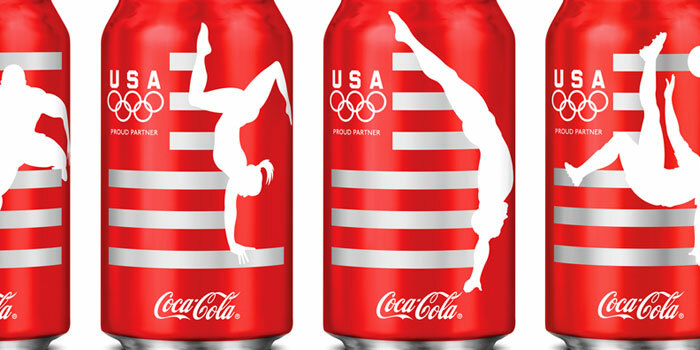 The designs will also appear on in-store displays, premiums and select TV spots. 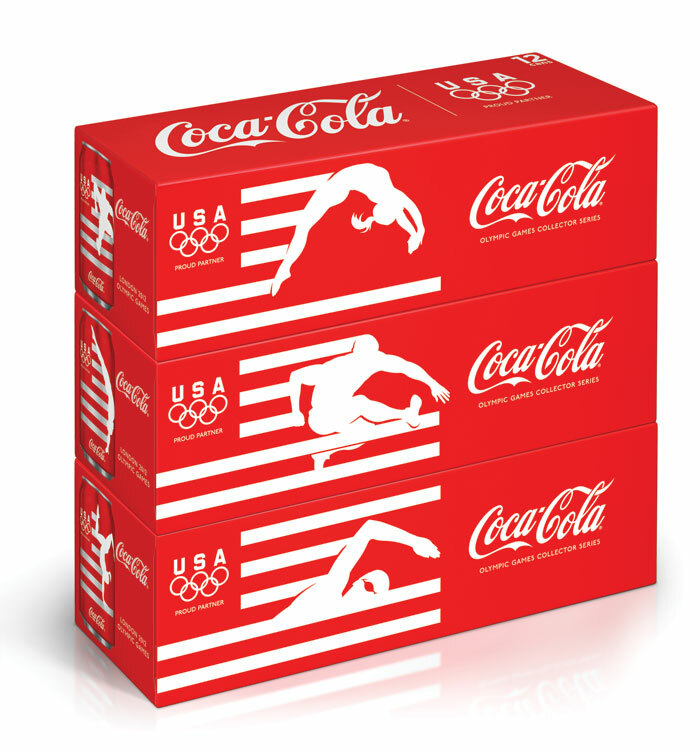 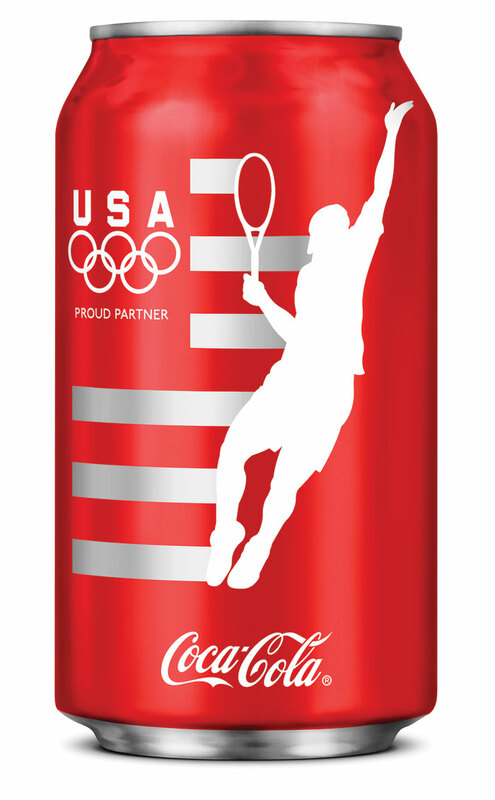 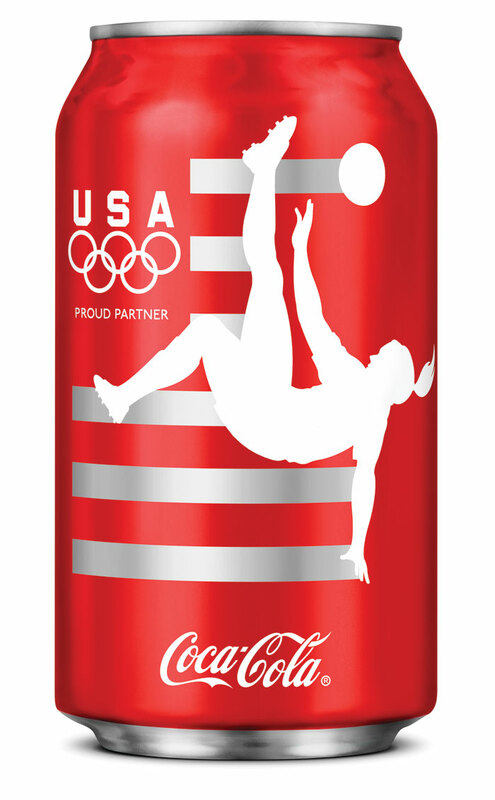 To learn more about the Coca-Cola 8 pack of athletes, visit www.mycokerewards.com/theolympics."